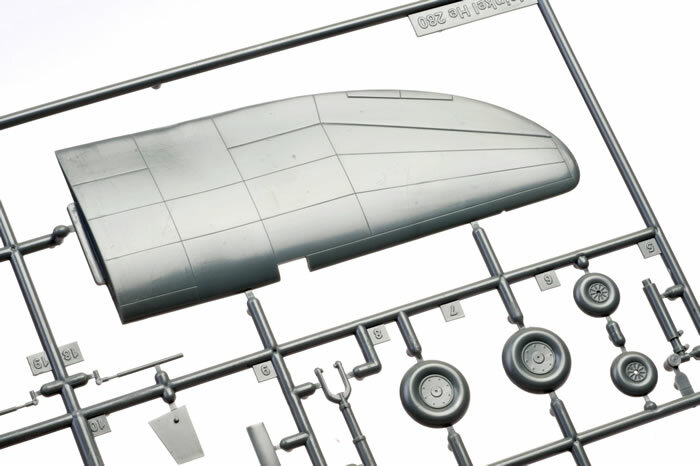 87 grey coloured plastic parts; three clear plastic parts; one pre-painted photo-etched fret; pre-cut canopy masks; decal sheet containing markings for three aircraft. Crisp and restrained surface features; includes both HeS 8a and Argis As 104 engine options; lovely colour photo-etched fret; high quality decals. Some care required aligning parts. It is very pleasing to see Eduard’s Heinkel He 280 resurface. This is still the only game in town and despite its vintage, it remains quite a respectable model. The addition of colour photo-etched parts and canopy masks are welcome too. Anyone with a couple of limited run model projects under their belt won't have any trouble coping with the few alignment and filling challenges that this kit might throw out. 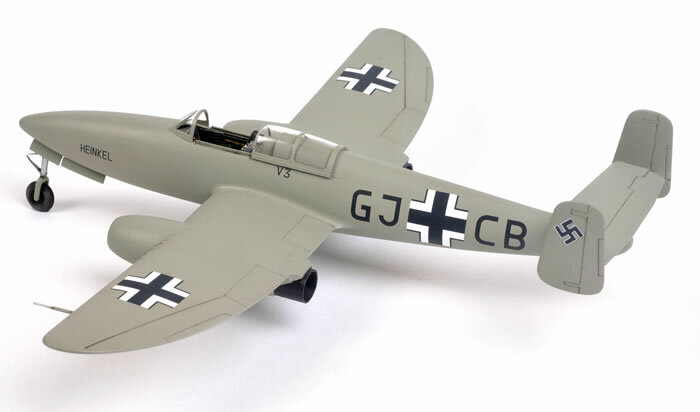 Eduard's 1/48 scale Bf 109 E-3 is available on sale from Squadron.com for only $21.99! The Heinkel He 280 was the world’s first jet fighter, taking its first powered flight on 2 April, 1941. The He 280 was designed as a single seat, low wing fighter with two jet engines. 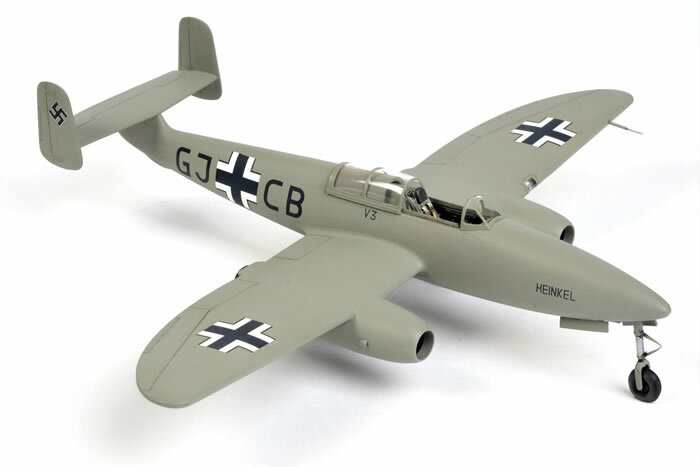 Prototypes of the He 280 flew at various times with either the Henschel HeS 8a and Junkers Jumo 004 engine. The Argus As 014 pulse-jet engine was also tested, This was the same engine that powered the V-1 Flying Bomb. The He 280 was fitted with an operational ejection seat. The first aircraft ejection in history took place when the pilot of He 280 V1, Helmut Schenk, had to escape the jet after losing control following heavy icing. With a maximum speed of 770 km/h, the He 280 was more than 170 km/h faster than its Luftwaffe contemporary, the Messerschmitt Bf 109 F-2. Several flight trials were undertaken against the Focke-Wulf Fw 190 A, which proved the superiority of this pioneering jet prototype. Although the Heinkel He 280 can rightfully claim its place in history as the first jet fighter, and proved to be a valuable research platform, it did not proceed to operational service due to engine problems and political resistance. The Heinkel He 280 project was officially cancelled on 27 March, 1943 with just nine prototypes having been built. 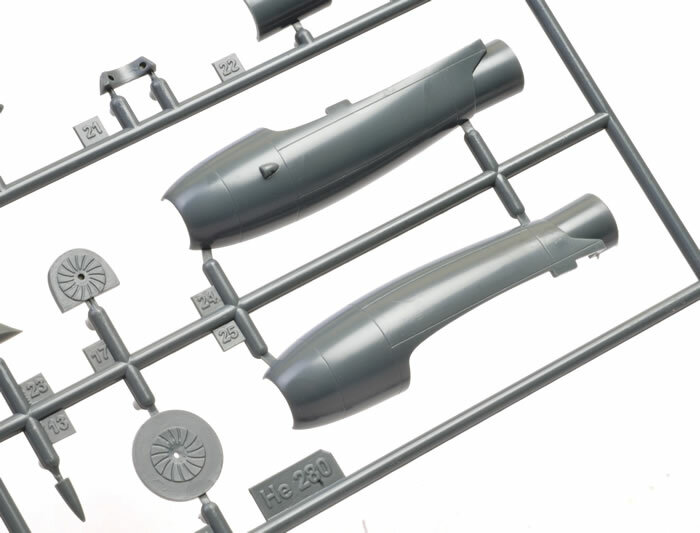 Eduard released their 1/48 scale Heinkel He 280 in 1999. 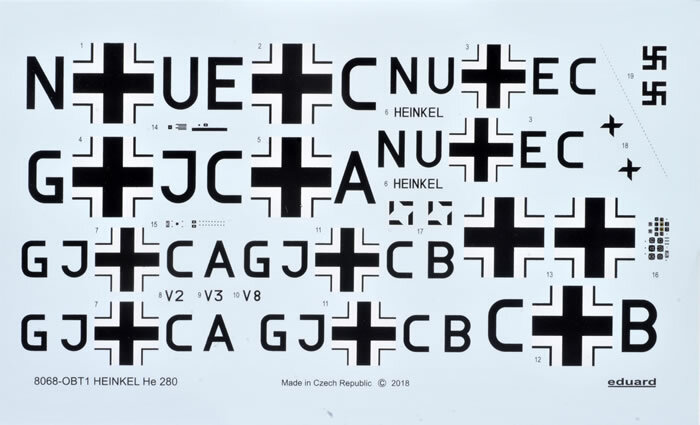 This kit represented a leap in quality compared to its earlier short-run WWI kits. 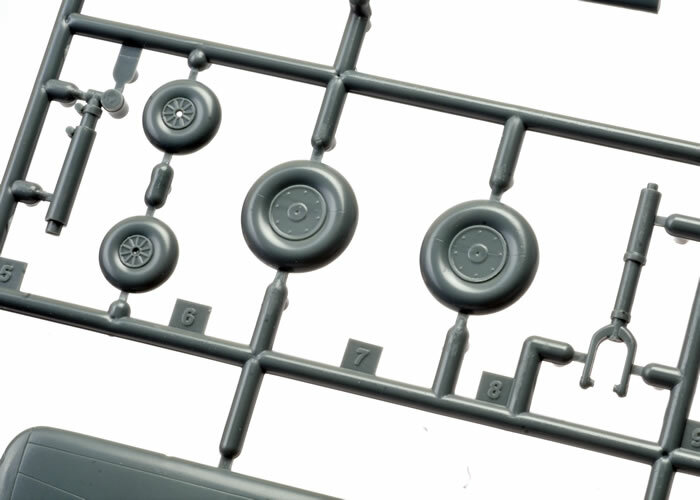 The plastic was smooth, sprue attachments quite narrow and surface detail was very crisp and fine. 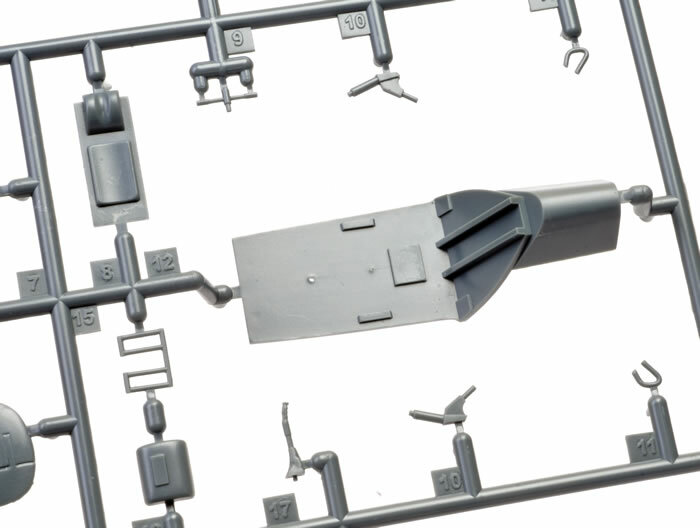 This was really one of the first models out of Eastern Europe that bridged the gap between limited run and mainstream injection moulded kits. The gap has been getting smaller ever since. 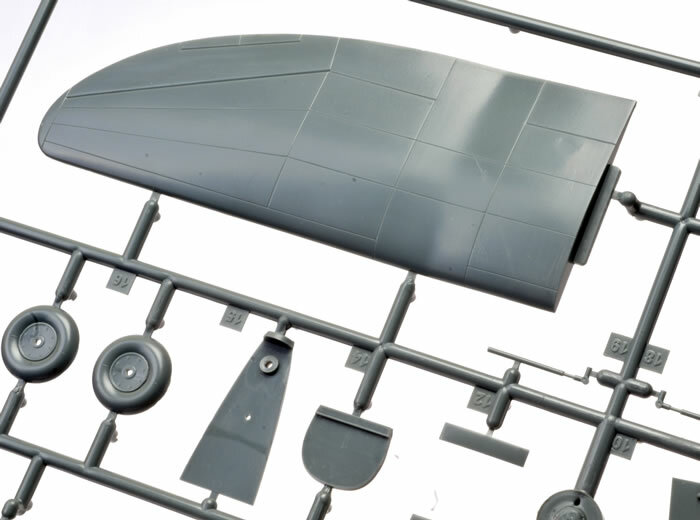 Eduard’s 1/48 scale Heinkel He 280 was originally released in standard and ProfiPACK versions. 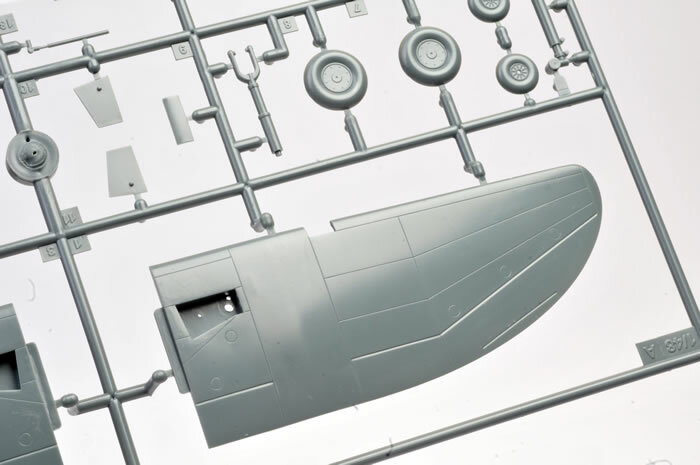 In addition to the 87 grey plastic parts, the ProfiPACK also supplied four resin parts, a brass photo-etched fret and self-adhesive masks for the canopy frames and the wheel hubs. 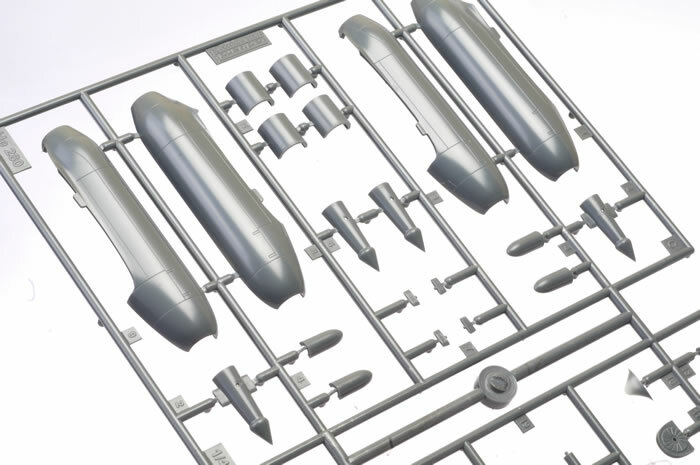 Both versions of the kit boasted very fine recessed panel lines and the option of either HeS 8a or Jumo 004 engines. 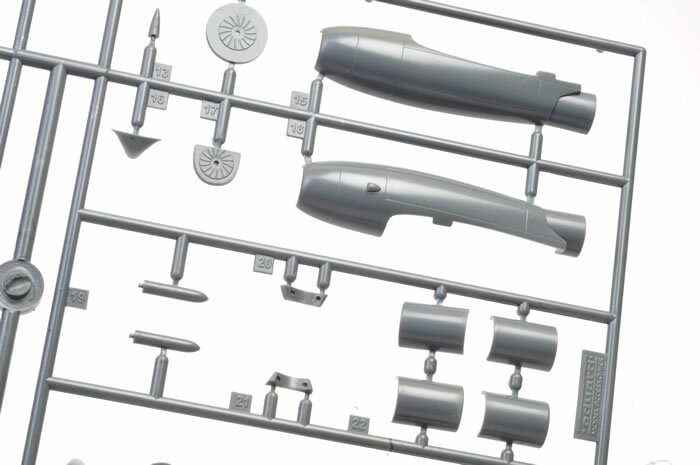 Two complete canopies were included too – one single piece for a closed canopy, and a separate windscreen and sliding section if the modeller wanted to pose the canopy open. 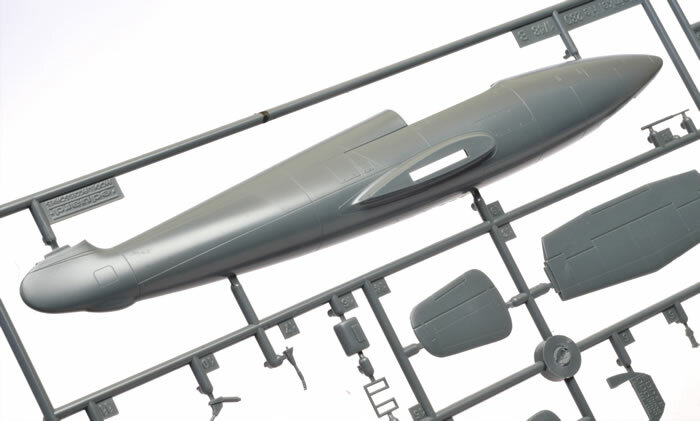 Another nice touch was a metal ingot shaped to fit in the upper nose of the model. This prevents the model from tipping back onto its tail when it is finished. The original release of this kit disappeared many years ago and has been hard to find ever since. 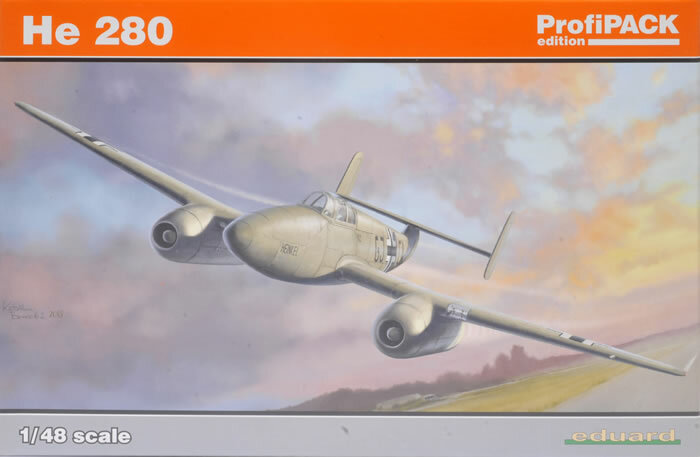 I was therefore delighted to hear that Eduard was planning to make this iconic aircraft available again. 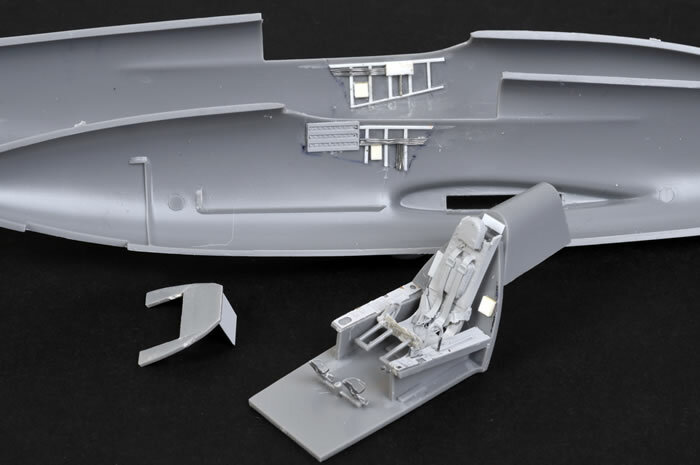 This time around, Eduard is offering the kit as a Profipack with the same plastic parts providing the choice of either HeS 8a or Jumo 004 engines, the two canopy options – open or closed – and now colour photo-etched parts for the cockpit. Beneath the gorgeous new box art, the plastic parts have held up very well over the last 19 years or so. It is presented in medium grey and the recessed detail is still crisp and fine. There are minimal alignment aids though (tabs, locating pins etc. 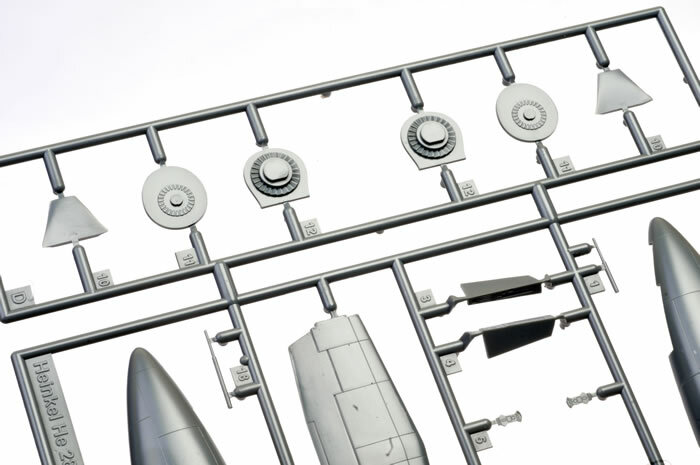 ), so make sure you spend plenty of time aligning parts before committing to glue. 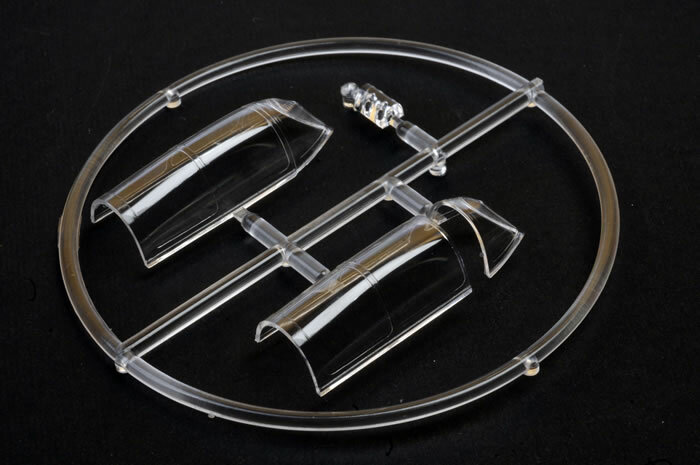 The clear parts are free from distortion and feature crisp raised frame lines. 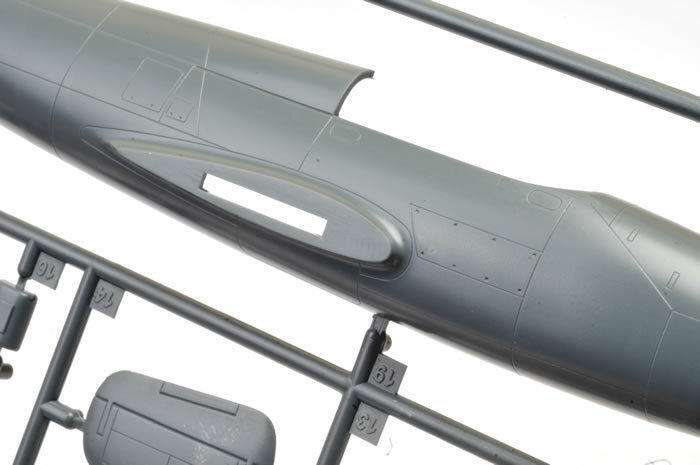 A clear port-side double landing light is included for the wing leading edge too. 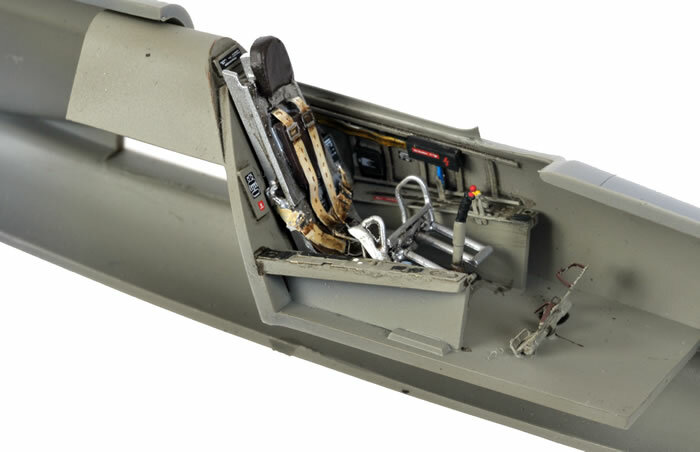 The photo-etched parts include lovely pre-printed instrument panel, side console, switch panel and harness strap parts plus other internal and external details – canopy rails, rudder pedals, oleo scissors and more. 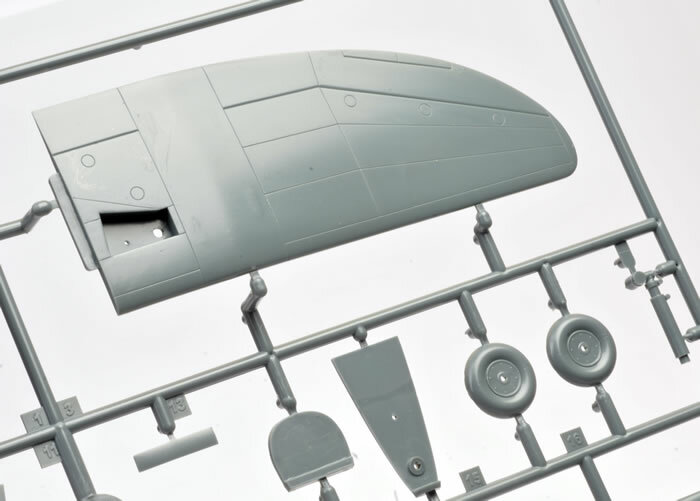 Self-adhesive die-cut masks are supplied for the canopy and wheels. Nose weight is not included this time around. 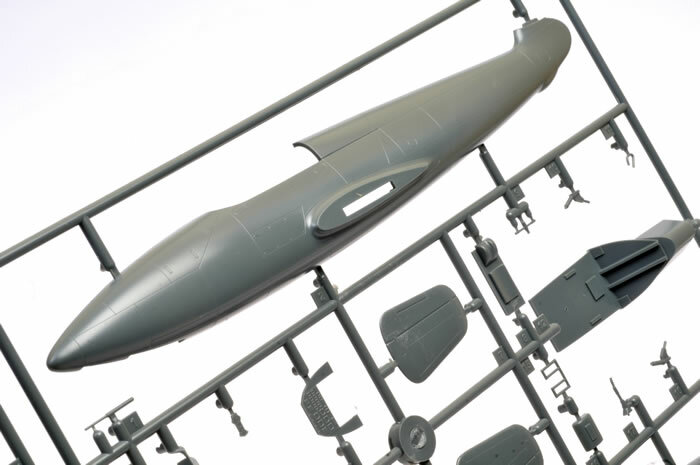 Three marking options are also included covering both engine configurations. The decals sheet is printed in perfect register by Eduard. Eduard also offers a budget alternative via the Overtrees version of the kit. 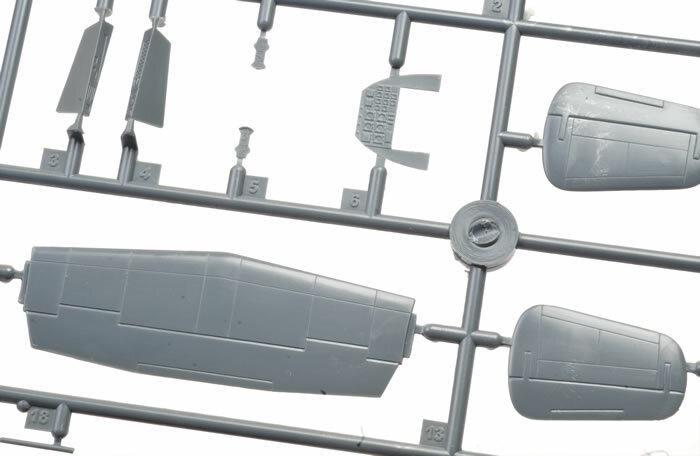 This is a plain white box that includes just the four grey plastic sprues and the clear sprue. It is available for only USD$24.95. I built the original release of this model in late 2011. I chose to depict V3, which was equipped with the Henschel engines. I scratch built some detail on the upper sidewalls and I would recommend this as a worthwhile effort for the new release too. Fit was quite good overall, but there were a few steps and minor gaps after construction, most notably along the bottom fuselage join. There was also a bit of misalignment around the back of the jet nacelles. These were all dealt with using Milliput White putty. I took a very restrained approach to the finish with a pristine RLM 02 overall paint job. I figured these prototypes would have been kept in good condition. It is very pleasing to see Eduard’s Heinkel He 280 resurface. This is still the only game in town and despite its vintage, it remains quite a respectable model. The addition of colour photo-etched parts and canopy masks are welcome too. 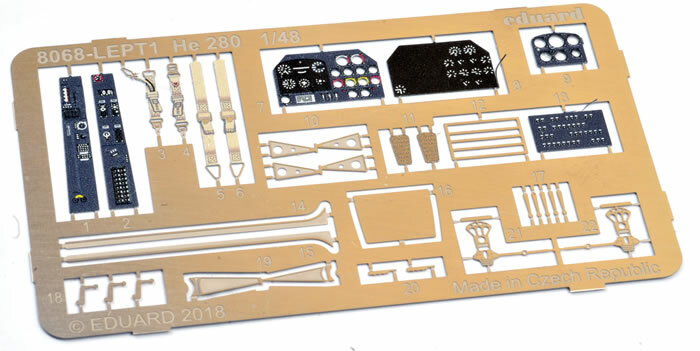 Anyone with a couple of limited run model projects under their belt won't have any trouble coping with the few alignment and filling challenges that this kit might throw out.